Envisage has designed themes and event graphics for over 56 corporate functions since 1993. Many of the events we design for are attended by high profile delegates and distinguished dignitaries. The Fairfax Media New Zealand Business Hall of Fame recognises and celebrates individuals who, through enterprise, have made a significant contribution to the economic and social development of New Zealand. Our design work for the Hall of Fame stretches back to 1994. This year, we designed and produced the Citations that were awarded on Wednesday the 27th of July at a Gala Dinner held at the Pullman Hotel, Auckland. We warmly commend this years’ Laureates; David and Anne Norman, Brian Perry, Sir Percy Sargood, John Todd, Thomas Cawthron and Leslie Hutchens. 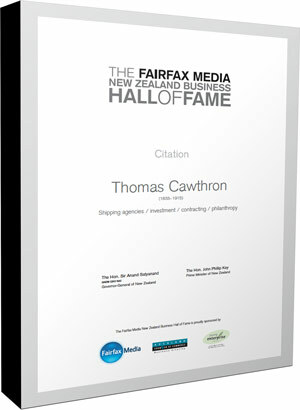 The Fairfax Media New Zealand Business Hall of Fame is a significant legacy held in association with the Chambers of Commerce and Young Enterprise Trust. 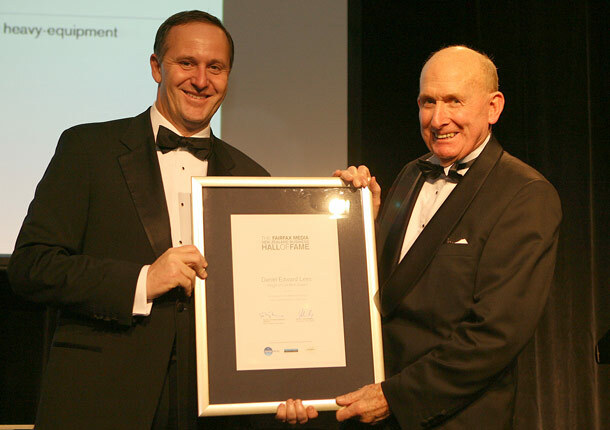 Lees Group Founder and Chairman Ted Lees pictured receiving his Citation Award from New Zealand’s Prime Minister John Key in 2009.